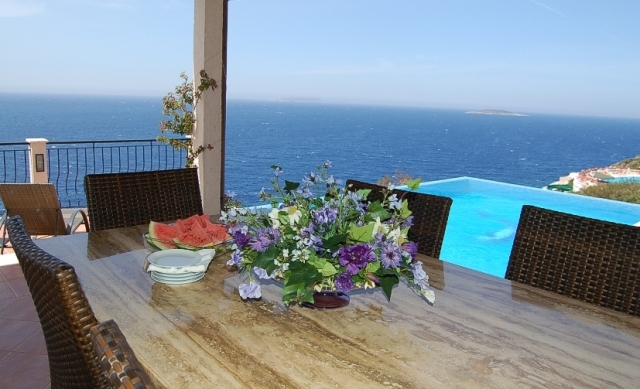 Luxury Villa Marilyn for rent on the exclusive Kas Peninsula Turkey, with seamless private infinity pool with uninterrupted views of the Mediterranean. 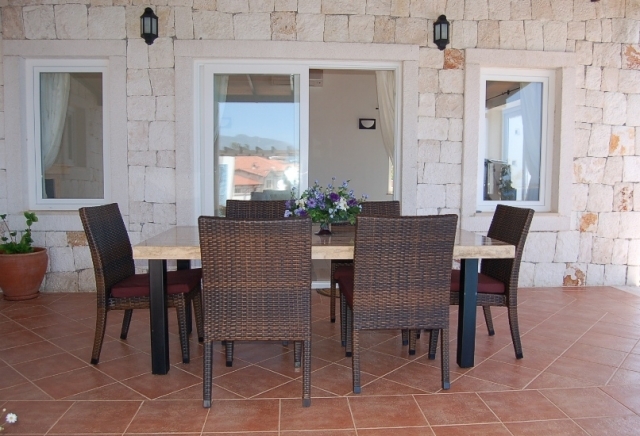 Built to a high standard, offering beautifully furnished in contemporary style and very well equipped accommodation for up to 6 persons, the villa which has free wireless internet access is just 5klm from the up-market resort of Kas, with its many excellent marina side bars restaurants and shops. 3 double bedrooms, all with xtra kingsize double beds (180 x200) en suite bathrooms & stunning sea views, Both double bedrooms on the upper floor have king sized beds, spacious fitted wardrobes & private sea view balconies; the double bedroom on the ground has patio doors opens directly onto the pool terrace area. Stylishly furnished open plan, split level living/dining room with vaulted ceiling, polished travertine floors throughout & central feature fire place, equipped with large flat screen plasma digital satellite television with high spec surround sound entertainment system with DVD & CD. The living room has sliding patio doors opening directly onto a shaded alfresco dining terrace that leads to the main pool terrace. 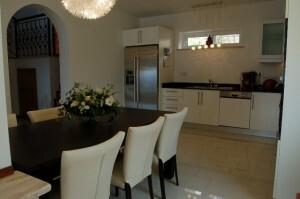 Dining area with seating for up to 8 persons. 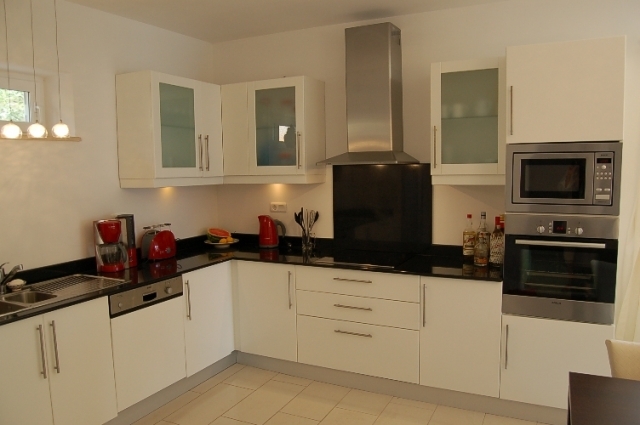 Large well fitted kitchen with granite worktops, equipped with electric hob and built – in oven & stainless steel hood extractor, integrated dishwasher and very large American style fridge freezer with ice make and chilled water dispenser. Large infinity pool with seamless sea views. 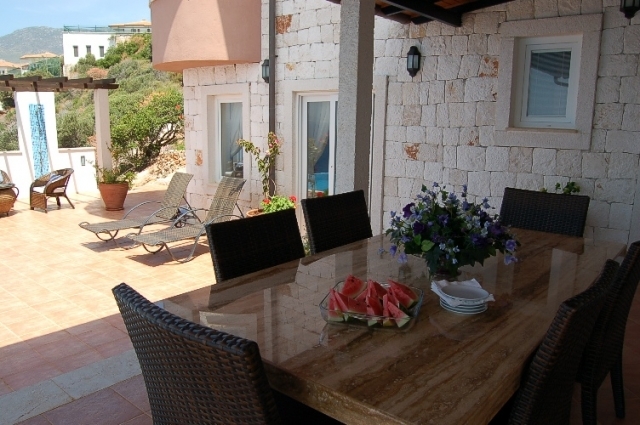 Shaded sea view terrace with alfresco dining area. Shaded pergola with stylish seating area on the pool terrace. 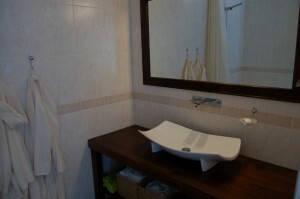 Golf Clubs available – nearest golf Course at Belek nr. Discounted car rental & private Airport transfers available. 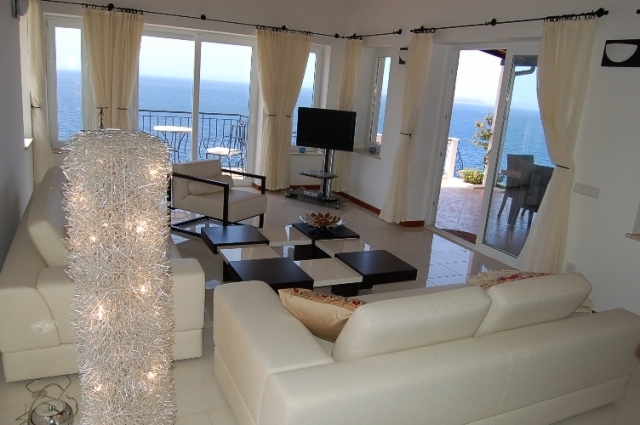 · Complete a booking form, and then either e-mail or fax it back to Euro Management & co.
· Then send a completed & signed booking form along with a 25% of the total tariff booking deposit. · The booking deposit payment may be in the form of a sterling cheque, IBAN payment or via a bank transfer payable, or credit card payments via Paypal in sterling. · A confirmation of booking receipt will be dispatched to guests on receipt of the signed booking form & deposit payment. · The remaining 75% balance must be paid no later than 10 weeks prior to the arrival date at the Villa. · The balance payment must be accompanied by a separate security deposit payment, which will not be cashed but will be held as a security deposit for the duration of the guests stay. Subject to there being no damage or breakages to the villas facilities or contents the payment will be returned intact within 10 working days of guests vacating the accommodation. · Guests wishing to book airport transfers to their accommodation, or car rental may reserve it through Euro Management & co., who will book it with a local agent on their behalf. All transfers & car rental is payable on arrival at the accommodation to the local agent, it is imperative that this is paid for on the day of arrival. 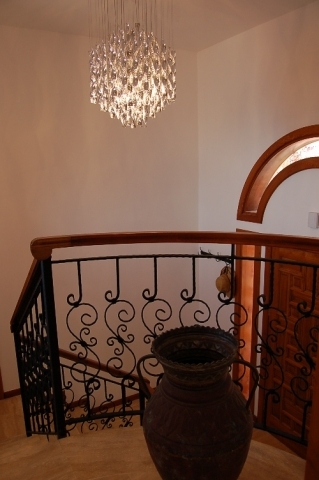 · It is the responsibility of each villa owner to maintain their villas & accommodation to a high standard of maintenance and hygiene, guests are requested to inform the local villa agent immediately any problem arises so they can resolve it. In the unlikely event that matters are not resolved guests can contact Euro Management & Co. so they contact the owners direct. · In order to assess whether individual villas are providing a satisfactory level of facilities, & to maintain standards, guests will be requested to complete an accommodation review at the end of their holidays. Please note that swimming pools unless otherwise specified are not heated &.are therefore, not operational during the winter months. They are normally operational between April – the end of October. The villa was great and we had an excellent holiday as well as creating four new fans and future devotees of this wonderful town. Can I also pass on how great Aayan was. He was such a lovely guy and really responsive to any queries that we had. All in all we had a fabulous time. We had a fantastic time at the villa. It truly felt like home away from home. Ayhan was very helpful at attending all of our requirements. It was an unforgettable experience for the whole family. ​ Kas is a very beautiful place and it was an absolute joy to wake up in the morning and see the blue of the Mediterranean. Likewise to end the day with the amazing sunset from the villa. The town of Kas is absolutely delightfully quaint and people are most helpful and friendly. We are looking forward to visiting again. We had a fabulous holiday in Kas and Villa Marilyn was absolutely ideal for us. 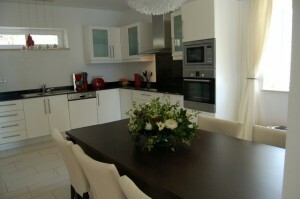 The villa was very comfortable and I was particularly impressed with how well the kitchen was equipped. 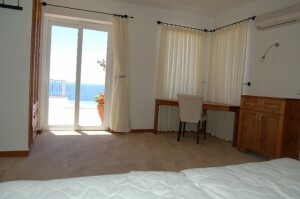 I will particularly miss the stunning sea views from the pool terrace. Ayhan was very helpful and when we had a problem with the air conditioning unit he arrived very quickly and soon had the problem sorted out. The airport transfers and car hire all went well too, the steep approach the to the villa is certainly exciting…..! 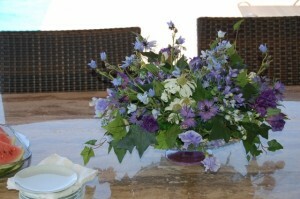 All in all we have had a superb two weeks holiday and I hope we will return to Kas very soon. 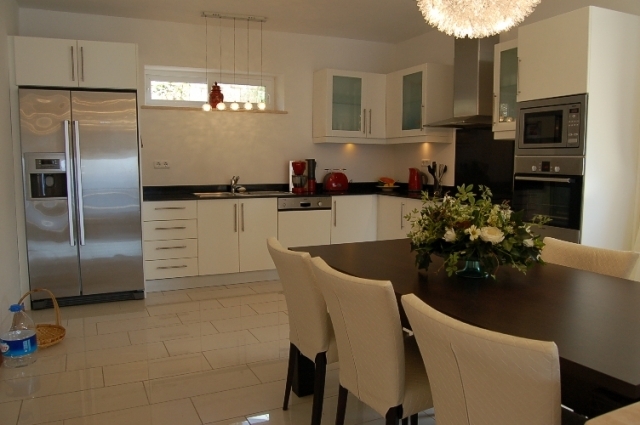 This villa is amazing and is equipped down to the very last detail with anything you could ever need to make your holiday a true ‘home from home’. 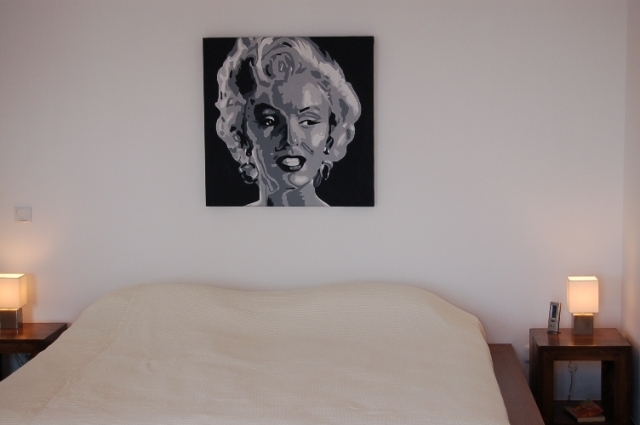 The bedrooms are all a really good size with great sized en-suite shower rooms – the downstairs double also had a bath. Internal steps and steps down from the road so not ideal for those with mobility issues. 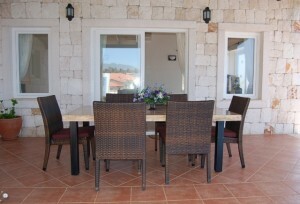 Great really well equipped kitchen and covered dining area outside with stone BBQ which we used a lot. Really comfy sun loungers – difficult to drag yourself away from the view from the terrace and the infinity pool is just amazing. 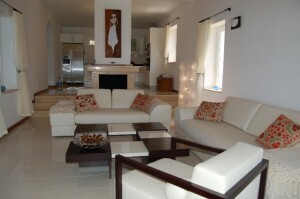 The villa is spotless throughout with no insects to bother you. We’ve stayed in many villas which describe the pool as ‘completely private’ however invariably it is overlooked at some point. This pool is completely screened from the quiet road some distance above the villa and next door properties and has sun all day on the terrace. Some previous reviews referred to noise from the Aqua Park Hotel next door which thankfully has closed down so there was not a sound to compete with the birds and the sound of the waves as we watched the yachts and gulets passing by below. The approach road down to the villa past the Sunset Hotel is steep however not busy so you can take your time navigating the route. You don’t need a 4 wheel drive but do need more than a very small car as a bigger engine is preferable for climbing the ascent. The dolmus passes the top of the road every half hour so you can leave the car at the villa and enjoy a meal out in one of the very many wonderful restaurants in Kas. We are home safe and well after having a truly wonderful stay at Villa Marilyn, thank you. We are already missing our daily swim in the fab pool, the friendly locals, the raki and glorious sunshine. We had a great time at the villa and hope to go back in years to come. “Yes we had a lovely time thankyou. Check out our latest special offers, including discounted prices and FREE Airport transfers. Find out what our customers have to say about our villas and service, with most returning year after year to their favourite villa. Reliable service surpassing guests expectations. 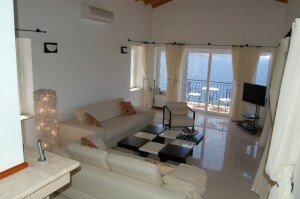 Villas have sea view, private pools and air-conditioning. 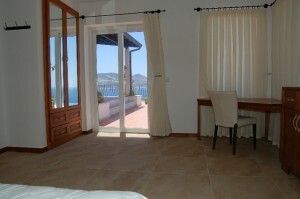 Welcome To Kas For Villa Rentals! 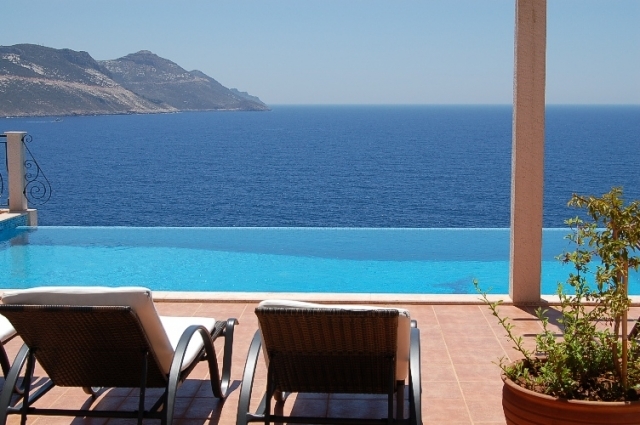 We are a family run and independent villa rentals company offering a wide range of luxury villas in Kas, a stunning location in Turkey that is both popular and truly loved by visitors for their few weeks in the sun. All of our villas offer a private pool, free WIFI, stunning views and modern furnishings, allowing your stay with us to be comfortable, enjoyable and above all memorable.